A fun, engaging, and inspiring book about healthy food and lifestyle for the whole family! 5% of all proceeds will go to support animal sanctuaries and/or humanitarian efforts. Get your children involved in making healthier food choices in a fun and interactive way. Learn how better lifestyle habits and compassion saves animals and the planet. Not just a reading book, but filled with fun puzzles to keep children interested and coming back for more. 50+ pages of easy-to-digest content in friendly language. 30+ Drawings and illustrations to keep your child immersed and entertained. 15 colorful and fun workbook activities and puzzles. "Vegan Adventures with Barnyard Friends is a great book for kids and young adults and sheds a lot of light on living a lifestyle which is free of meat and diary. The book is also very interactive full of puzzles, crosswords and many other actives which keeps you engaged throughout the readings. Highly recommend for any child as my little nephew really enjoyed the book." Helping our children understand where our food comes from and how our actions affect the livelihoods of others is crucial for a better future. 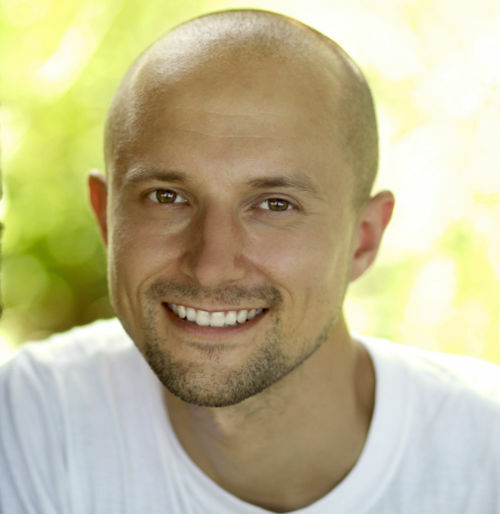 I'm Matt, founder of MyRawIntuition.com and a Holistic Health Educator with a passionate focus on detoxification and raw living foods. After coming across the concept of a raw vegan diet and lifestyle in 2011, and implementing it in my own life, I’ve experienced major health improvements. This inspired me to embark on an endless learning journey, sharing my passion for raw foods and natural living, and to write Vegan Adventures with Barnyard Friends to help families and children create a sustainable future.